My research focuses on emerging solar photovoltaic (PV) technologies based on thin-film absorbers, including perovskites, organics, and quantum dots (QDs). Emerging thin-film PV technologies provide new functionality today and could reshape the solar landscape tomorrow. These materials are structurally complex but simple to process, opening the door to new formats for deploying solar power. 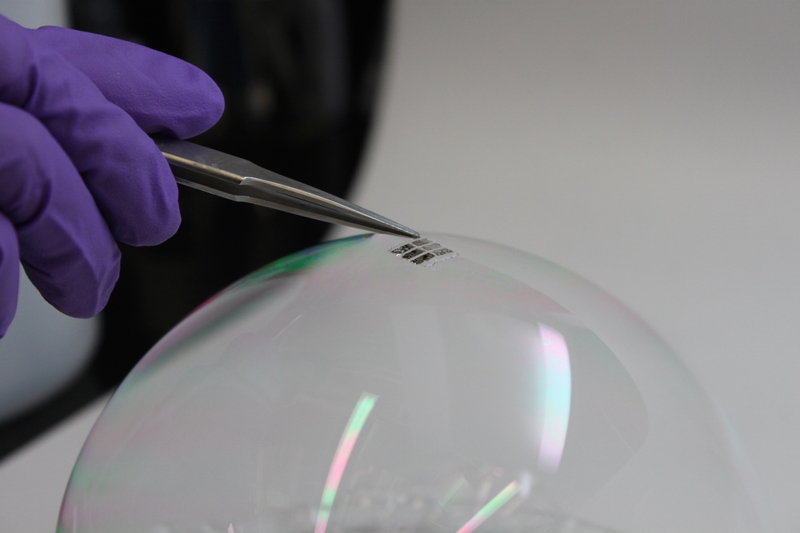 Unlike today's commercial PV technologies, they can be made flexible, lightweight, and even visibly transparent, enabling widespread deployment at low cost. R. Brenes*, M. Laitz*, J. Jean, D.W. deQuilettes, and V. Bulović, "State-of-the-Art Perovskite Solar Cells Benefit from Photon Recycling at Maximum Power Point," arXiv (2019). This analysis shows how photon recycling (repeated absorption and re-emission of light inside a solar cell) improves the power conversion efficiency of the best perovskite solar cells and helps them approach the Shockley-Queisser limit. R.L.Z. Hoye, K.A. Bush, F. Oviedo, S.E. Sofia, M. Thway, X. Li, Z. Liu, J. Jean, J.P. Mailoa, A. Osherov, F. Lin, A.F. Palmstrom, V. Bulović, M.D. McGehee, I.M. Peters, and T. Buonassisi, "Developing a Robust Recombination Contact to Realize Monolithic Perovskite Tandems With Industrially Common p-Type Silicon Solar Cells," IEEE Journal of Photovoltaics, 8, 1023-1028 (2018). This study demonstrates the first two-terminal perovskite tandem with a p-type silicon cell, the most common type of solar cell commercially available today. R.L.Z. Hoye, L.C. Lee, R.C. Kurchin, T.N. Huq, K.H.L. Zhang, M. Sponseller, L. Nienhaus, R.E. Brandt, J. Jean, J.A. Polizzotti, A. Kursumović, M.G. Bawendi, V. Bulović, V. Stevanović, T. Buonassisi, and J.L. MacManus-Driscoll, "Strongly Enhanced Photovoltaic Performance and Defect Physics of Air-Stable Bismuth Oxyiodide (BiOI)," Advanced Materials, 29, 1702176 (2017). This study shows the potential of bismuth oxyiodide (BiOI) as an air-stable, lead-free PV material. J. Jean, A. Wang, and V. Bulović, "In Situ Vapor-Deposited Parylene Substrates for Ultra-thin, Lightweight Organic Solar Cells," Organic Electronics, 31, 120–126 (2016). In this paper, we introduce a new in situ process for thin-film PV substrate formation and demonstrates the thinnest (1.3 µm) and lightest (3.6 g/m2) solar cells ever made (to our knowledge). Colloidal quantum dots are nanoscale crystals whose size can be tuned to absorb and emit light efficiently across a wide range of wavelengths. 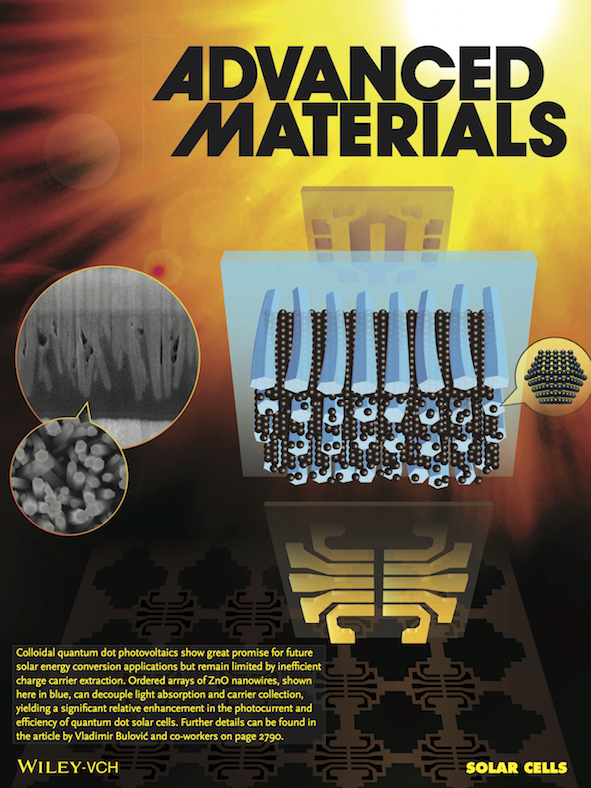 Solar cells based on colloidal quantum dots can be fabricated entirely at room temperature using high-throughput coating methods, making them a scalable alternative to existing PV technologies. My PhD work focused on the development of new device structures for enhancing light absorption and charge collection in lead sulfide (PbS) QD solar cells. This work includes fundamental research on the nature of charge transport in QD films, as well as development of practical thin-film processing techniques needed for large-scale fabrication of future optoelectronic devices. J. Jean, J. Xiao, R. Nick, N. Moody, M. Nasilowski, M.G. 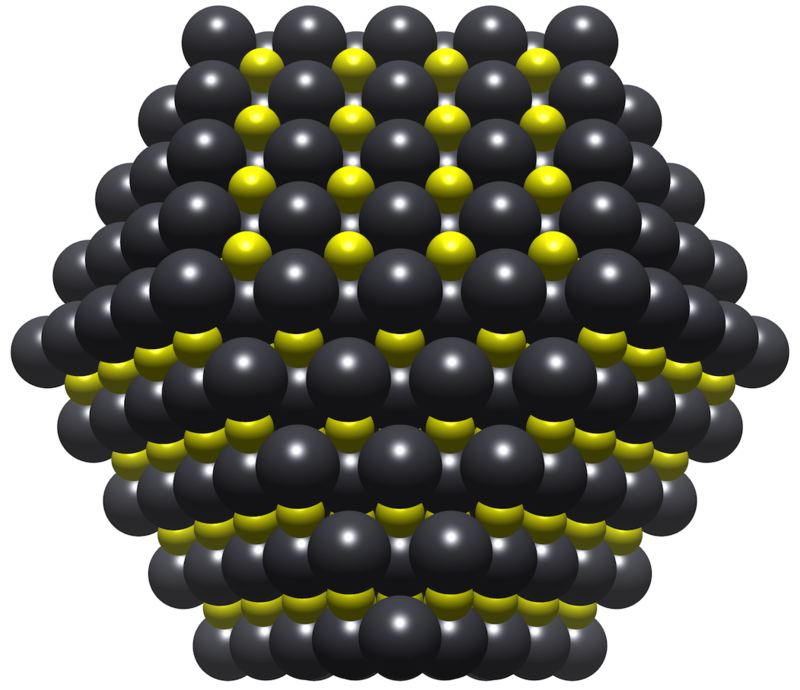 Bawendi, and V. Bulović, "Synthesis cost dictates the commercial viability of lead sulfide and perovskite quantum dot photovoltaics," Energy & Environmental Science 11, 2295-2305 (2018). 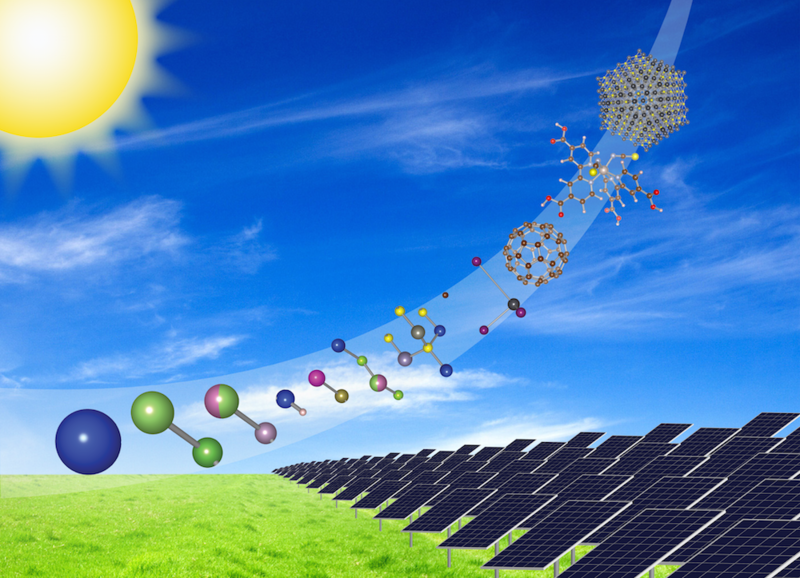 This analysis shows that the present cost of synthesizing colloidal quantum dots (QDs) is prohibitively high for solar cell applications. J. Jean, T.S. Mahony, D. Bozyigit, M. Sponseller, J. Holovsky, M.G. Bawendi, and V. Bulović, "Radiative Efficiency Limit with Band Tailing Exceeds 30% for Quantum Dot Solar Cells," ACS Energy Letters 2, 2616–2624 (2017). This work examines the sharpness of the absorption band edge in PbS QD films, which allows us to calculate efficiency limits with band tailing for QD solar cells and leading PV technologies. M. Wu, J. Jean, V. Bulović, and M.A. Baldo, "Interference-enhanced infrared-to-visible upconversion in solid-state thin films sensitized by colloidal nanocrystals," Applied Physics Letters 110, 211101 (2017). This work demonstrates an order-of-magnitude enhancement in the upconversion efficiency of a simple bilayer device using interference effects. M. Wu*, D.N. Congreve*, M.W.B. Wilson*, J. Jean, N. Geva, M. Welborn, T. Van Voorhis, V. Bulović, M.G. Bawendi, and M.A. 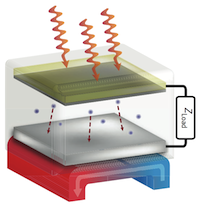 Baldo, "Solid-state infrared-to-visible upconversion sensitized by colloidal nanocrystals," Nature Photonics 10, 31–34 (2015). This paper reports the first demonstration of solid-state upconversion from infrared to visible light using exciton-exciton interactions. This approach allows efficient broadband conversion at low intensities, which is critical for solar energy applications. C.-H.M. Chuang, A. Maurano, R.E. Brandt, G.W. Hwang, J. Jean, T. Buonassisi, V. Bulović, and M.G. Bawendi, "Open-Circuit Voltage Deficit, Radiative Sub-Bandgap States, and Prospects in Quantum Dot Solar Cells," Nano Letters 15, 3286–3294 (2015). This work highlights the presence of radiative sub-bandgap states in PbS QD solids, which likely limit the open-circuit voltage in today's leading QD solar cells. J. Jean, S. Chang, P.R. Brown, J.J. Cheng, P.H. Rekemeyer, M.G. Bawendi, S. Gradečak, and V. Bulović, "ZnO nanowire arrays for enhanced photocurrent in PbS quantum dot solar cells," Advanced Materials 25, 2790–2796 (2013). Featured on frontispiece. In this work, we show that solution-processed ZnO nanowire arrays can improve charge extraction and increase the power conversion efficiency of quantum dot solar cells. H. Park*, S. Chang*, J. Jean, J.J. Cheng, P.T. Araujo, M.-S. Wang, M.G. 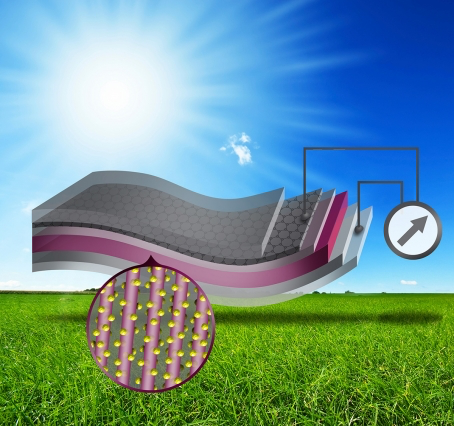 Bawendi, M. Dresselhaus, V. Bulović, J. Kong, and S. Gradečak, "Graphene cathode-based ZnO nanowire hybrid solar cells," Nano Letters 13, 233–239 (2013). In this work, we demonstrate efficient quantum dot (PbS) and polymer (P3HT) solar cells using ZnO nanowire arrays grown directly on transparent graphene electrodes. Solar energy is one of the few low-carbon resources with both the scalability and the technological maturity to meet our ever-growing global demand for electricity. Among solar technologies, photovoltaics are the most widely deployed, providing 0.87% of the world’s electricity in 2013 and growing over 40% each year in global capacity since 2000—roughly a doubling every 2 years. 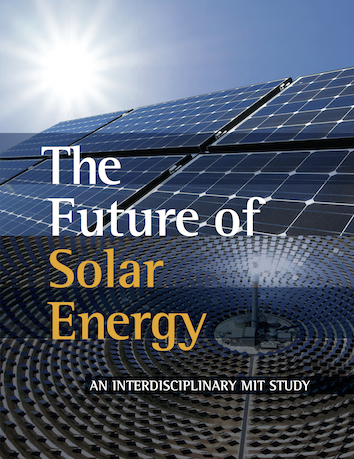 The MIT Future of Solar Energy Study was launched in 2008 to evaluate the potential for solar to meet the world’s future energy needs. A team of faculty and researchers from across MIT would analyze the technology, engineering, and economics of solar electricity generation. But the solar industry was changing too fast for the study to keep up—the future of solar was too uncertain. The project was put on hold. I joined the study team in 2013, when we restarted the work with a new team and new ideas. The final report, released in May 2015, discusses the two leading types of solar energy technology—PV and concentrating solar power (CSP)—along with the economics of solar energy, limits to large-scale deployment, grid integration, deployment subsidies, and solar research, development, and demonstration policy. Among its many findings, the study identifies the problem of value factor decline: The value of intermittent solar power decreases with increasing penetration; to deploy more solar, we need ever-cheaper PV technology or energy storage. This result has important implications for R&D policy. We presented our findings to policymakers at the DOE and Congress, and the study has been widely cited in the energy world and in the popular press. In February 2015, we published an associated perspective paper, Pathways for Solar Photovoltaics. We look at all of today's PV technologies and analyze their strengths and weaknesses on equal footing. The paper introduces a new, unified framework for classifying PV technologies, based on the complexity of the primary absorber material. Within this framework, we identify three key themes for PV technology improvement: efficiency, materials use, and manufacturing complexity. Last, we discuss potential roadblocks to deploying solar PV at the terawatt scale—in particular the cost and availability of commodity materials (e.g., glass, concrete, and steel) and PV-specific critical materials (e.g., silver, tellurium, and indium). J. Jean, P.R. Brown, R.L. Jaffe, T. Buonassisi, and V. Bulović, "Pathways for Solar Photovoltaics," Energy & Environmental Science, 8, 1200–1219 (2015). Featured on cover. In this review, we identify future technological directions for solar PV and examine potential limits to terawatt-scale PV deployment. P.R. Brown, J. Jean, F. O'Sullivan, and R. Miller, "The Future of Solar Now Depends on More Than Just Technology," R&D Magazine, November 2017. In 2015, I worked with a team of 3 students and Prof. Jessika Trancik on a study to inform and motivate the global climate negotiations in Paris, emphasizing how technological improvement in solar PV and wind can reduce the cost of meeting climate-change mitigation targets. By showing that working together reduces costs for everyone, our findings could help build consensus across nations and lead the way to collective action. Our team was invited to present our findings at the White House in November, and the work was cited by the White House climate and energy team before and after the Paris conference. This report highlights the rapid reductions in cost and expansions in installed capacity of solar and wind energy worldwide. We also examine the potential for further renewables expansion under national pledges to reduce carbon emissions (INDCs). A. Murarka, A. Wang, J. Jean, J.H. 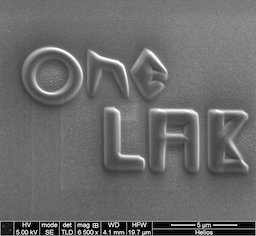 Lang, and V. Bulović, "Printed MEMS membrane electrostatic microspeakers," Solid-State Sensors, Actuators, and Microsystems Workshop (Hilton Head), Hilton Head Island, SC (2014). This paper reports the fabrication and operation of thin-film microspeakers based on electrostatic deflection of 125-nm-thick gold membranes suspended over micron-deep SiO2 cavities. In Spring 2009, I joined a group at Stanford working on a new solar energy conversion technique called photon-enhanced thermionic emission (PETE). The PETE process takes advantage of both the per-photon "quantum" energy of above-bandgap solar photons—like traditional solar cells—and the thermal energy of below-gap photons—unlike traditional solar cells. That thermal boost helps photogenerated electrons in a PETE device escape from the cathode and travel across a vacuum gap to the anode, from which they can return through an external circuit and perform useful work. Since any PETE device requires electrons to emit from the cathode material, we can maximize overall power conversion efficiency by optimizing the cathode for photoemission. Nanostructured materials can increase photoemission by maximizing surface area and by decoupling the absorption length from the escape mean free path (i.e., the distance from an emissive surface). To improve our understanding of the benefits of nanostructuring, I developed a Monte Carlo simulation of electron dynamics in various nanostructured geometries—nanowires, nanocones, nanopyramids, and more. In Fall 2010, I began working with three members of the PETE group—Dan Riley, Vijay Narasimhan, and Igor Bargatin—to develop a three-step simulation suite for optimizing electron emission efficiency from arbitrarily nanostructured surfaces. We simulated the entire charge emission and collection process, with an RCWA model for light absorption, Monte Carlo for transport and emission, and a ballistics simulation for collection yield. In recent work, I used the Monte Carlo code to examine the effects of temperature, doping, and surface recombination velocity on the emission yield of a planar GaAs substrate with surface band-bending. K. Sahasrabuddhe*, J.W. Schwede*, I. Bargatin, J. Jean, R.T. Howe, Z.-X. Shen, and N.A. Melosh, "A model for emission yield from planar photocathodes based on photon-enhanced thermionic emission or negative-electron-affinity photoemission," Journal of Applied Physics 112, 094907 (2012). D.C. Riley, V.K. Narasimhan, J. Jean, I. Bargatin, J.W. Schwede, Z.-X. Shen, R.T. Howe, Y. Cui, and N.A. Melosh, "Optimization and characterization of nanostructured surfaces for photon-enhanced thermionic emission and photoemission cathodes," APS March Meeting, Bulletin of the American Physical Society 56, 1 (2011). J. Jean, I. Bargatin, and R.T. Howe, "A simulation of the dynamics of electron emission from nanowires," presented at Stanford EE REU Symposium, Stanford, CA (2009). In early 2010, I started working with Srikanth Iyer, Scott Lee, and Stanford's NEM Logic team on nanoelectromechanical (NEM) relays, a scalable and low-power alternative to traditional CMOS transistors. 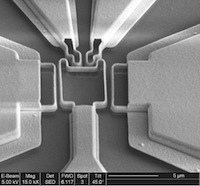 The capacitive actuation that drives these nanoscale mechanical switches—essentially flexible metal beams—allows them to operate with nearly zero off-state leakage current and near-infinite subthreshold slope, meaning that they can substantially reduce heat dissipation and overall power consumption in all kinds of electronic devices. Mobile devices and FPGAs in particular could realize huge gains in power efficiency—and hence battery life—through the selective replacement of complementary silicon technology by NEM relays. During the summer of 2010, Sri and I characterized the electrical properties of several NEM relay structures, collected pull-in and pull-out data to build chip maps for further dynamic testing, and identified several relay failure mechanisms—e.g., stiction, residual stress, more stiction. J. Jean, S. Iyer, W.S. Lee, and R.T. Howe, "MOSFET-Killer: Nanoelectromechanical (NEM) relays for low-power logic," presented at Stanford EE REU Symposium, Stanford, CA (2010). 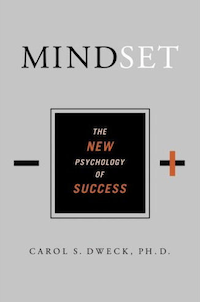 During my first quarter at Stanford in Fall 2007, I took a seminar with Carol Dweck on implicit theories—our beliefs about the malleability of our own intelligence, personality, and ability. I proposed a longitudinal study of implicit theories in higher education for my final project, and after the seminar, I started working with Aneeta Rattan, a PhD student in the Dweck Lab. Our research focused on the effects of the growth and fixed mindsets on bias and prejudice, and I conducted literature reviews and studies, recruited study participants, and analyzed data to quantify behavioral responses.